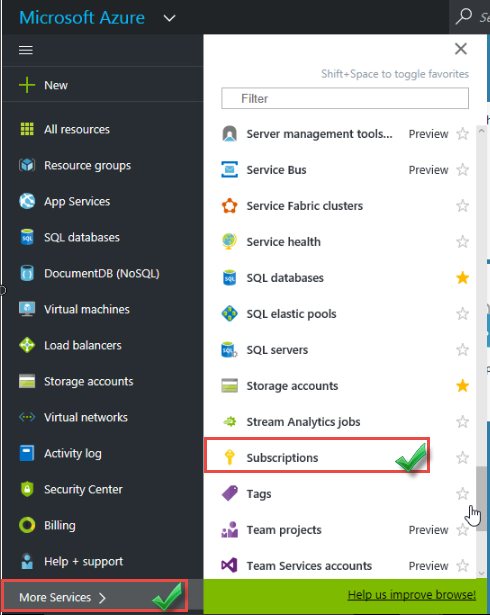 Purpose: Login to Azure so background tasks are tied to the proper account. Sign in with your organizational [school/student/company] email account (eg. dstolts@MIT.EDU). You should see your organizational account email in the upper right corner. 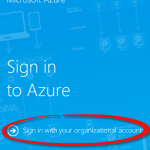 Navigate in your web browser to http://portal.azure.com Sign in with your organizational credentials (eg. dstolts@MIT.EDU). You should see your organizational account email in the upper right corner. You should have been given a pass by your TA or organizational leader. Perhaps they emailed it to you? if required: Sign in with your organizational [school/student/company] email account (eg. dstolts@MIT.EDU) if required. 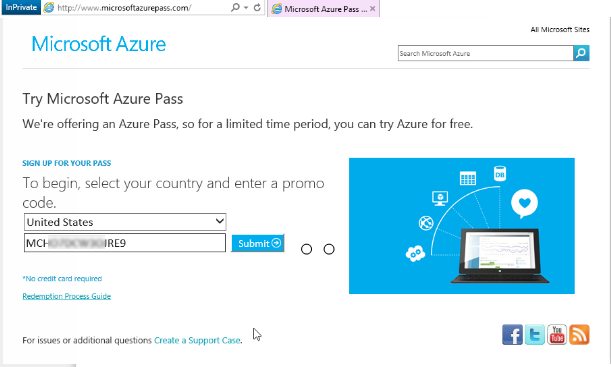 Enter country “United States” or other then Enter your code in the Azure Pass Code field and click submit. If you get a message “Please sign in using your Organizational account or Microsoft account, fill out the remaining information, then click submit. No worries, Move to The next Step below; we need to finish the authorization at the organizational account. NOTE: if you click sign-in again you will get a different error: An account already exists for the provided email. Please sign out and sign in with a different Organization account or Microsoft account to continue. Please just skip to the next step. 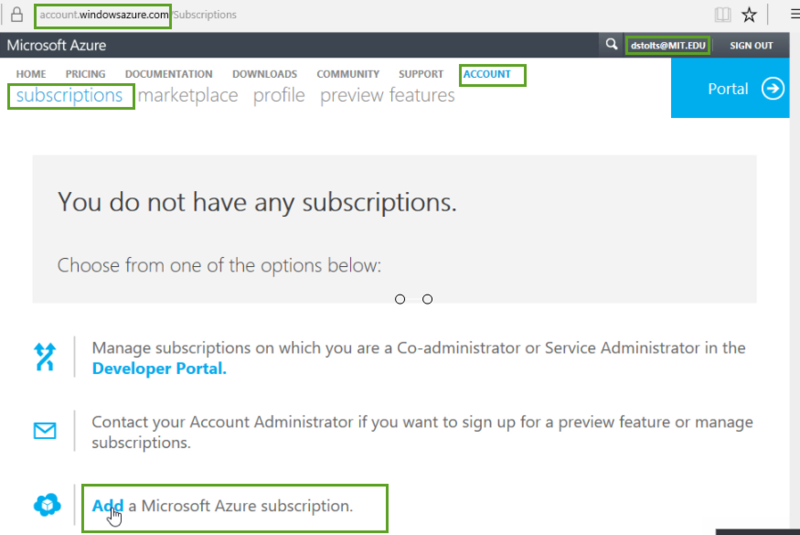 If you have any trouble getting to https://account.windowsazure.com/?WHR=azure.com or logging into that site, or you do not have a “subscriptions” link. See NOTE in description of this step. When you login you may have been redirected to login.live.com instead of Account.WindowsAzure.com (or ?.onmicrosoft.com). Make sure you use the entire url or click on the link on the sign-in screen that says Sign in with your organizational account. 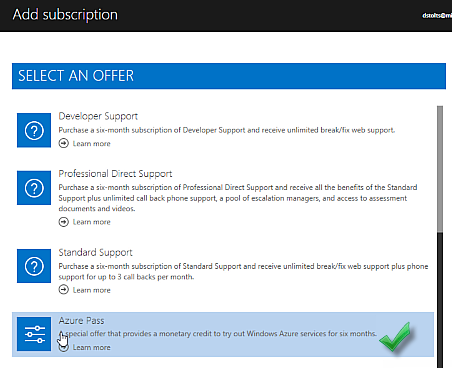 Note: if you do not see an Add a Microsoft Azure Subscription you may have to wait 5-10 mins and try again. You may also try closing all browser windows and repeat this step. Look in the upper right corner, if it does not show you are signed in by showing your email address. Click the SIGN IN button and complete sign in with your organizational [school/student/company] credentials (eg. 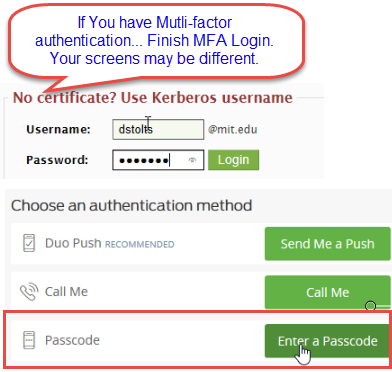 dstolts@MIT.EDU) [if required!]. You should see your organizational email address in the upper right corner. Click subscriptions in the upper left corner. 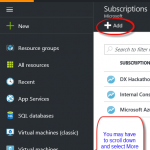 Scroll down and Click Add a Microsoft Azure subscription. 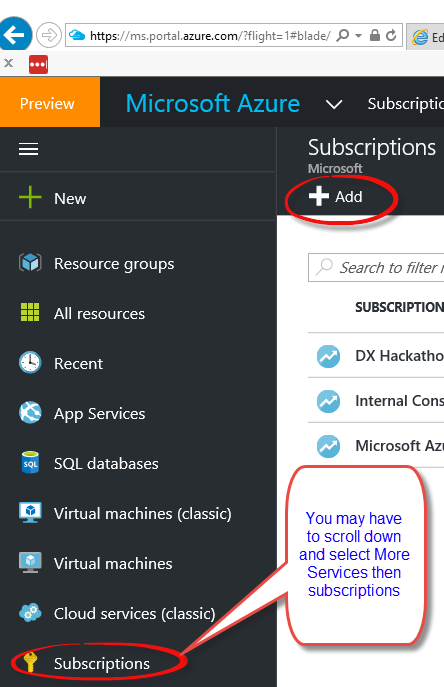 On the SELECT AN OFFER page scroll down and click on Azure Pass. Agree to the teams and click Purchase. Note: the subscription named “Azure Pass” may be in a grey font and hard to read. No problem as long as it is there. If you do not see the subscription, close all browsers, wait 2 mins try again. Navigate in your web browser to http://manage.windowsazure.com. This is the legacy portal, scroll down on the left NAV to Settings. 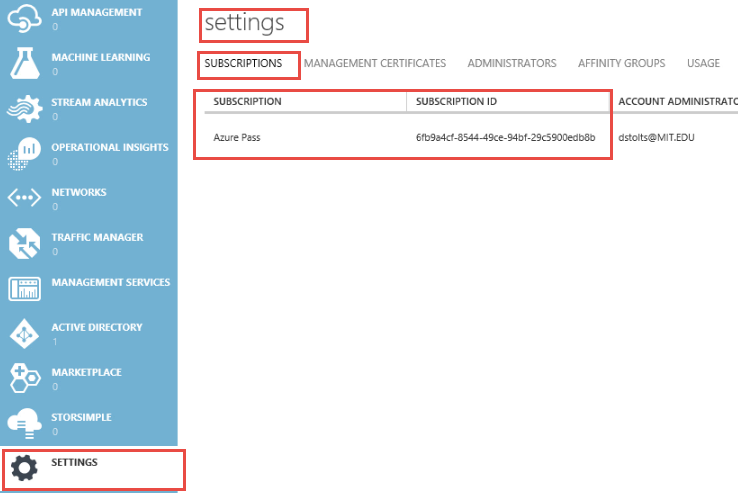 then under subscriptions you should see your Azure Pass. If it is not there close all browsers, wait 2 mins repeat this step [you will be forced to login again make sure you use your [school/student/company] email account (eg. 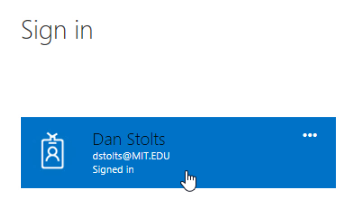 dstolts@MIT.EDU)].The name of the subscription should be “Azure Pass” if you do not have an “Azure Pass” subscription then it did not succeed and you will need to repeat this step. Note: the subscription may be in a grey font and hard to read. No problem as long as it is there. 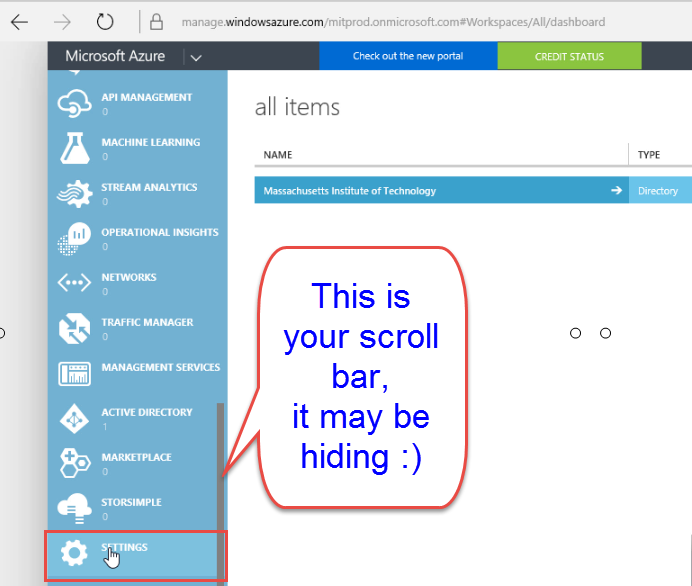 Close all browser tabs and sessions, then open a new browser and navigate in your web browser to http://portal.azure.com. This is the new production portal, scroll down on the left NAV to More Services then scroll down and select Subscriptions. You should see your subscription named “Azure Pass”. If you do not, then you will need to close all browser sessions, wait 2 mins and repeat this step [you will be forced to login again make sure you use your [school/student/company] email account (eg. dstolts@MIT.EDU)].